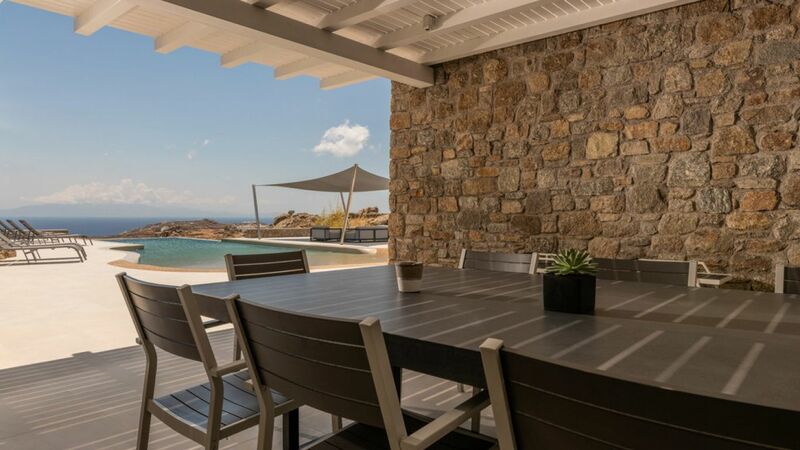 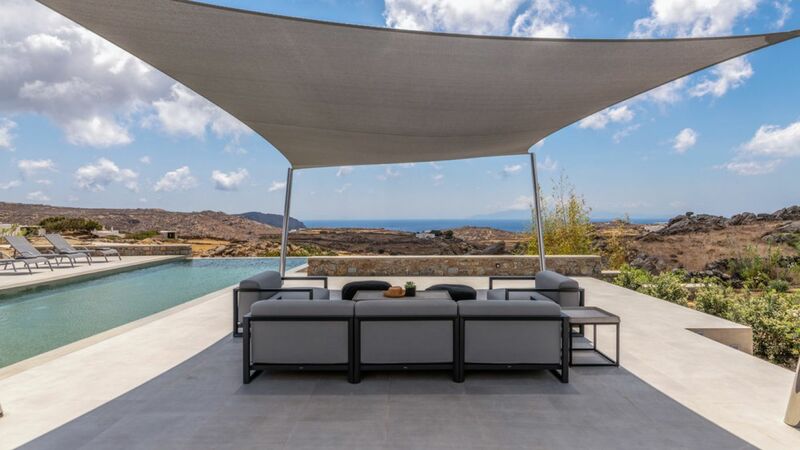 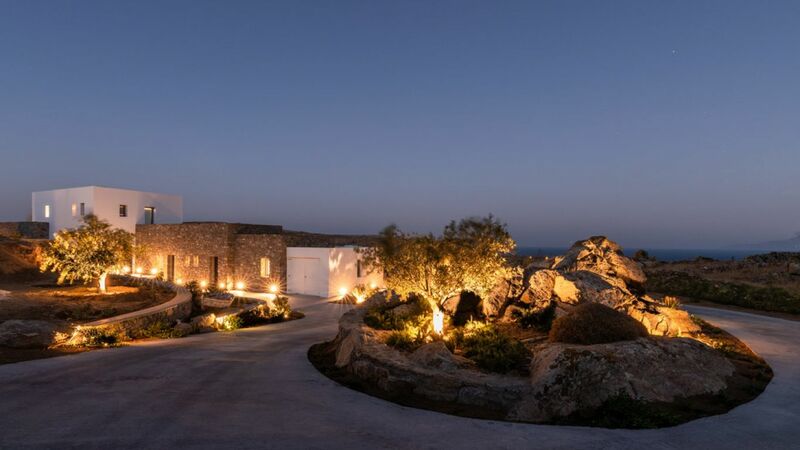 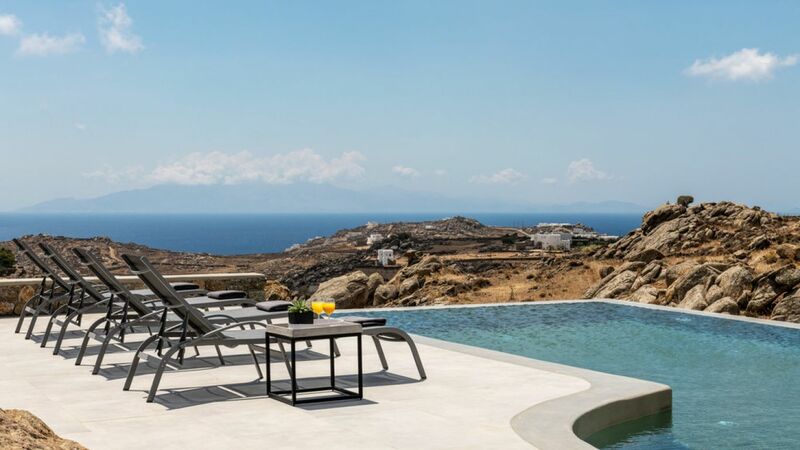 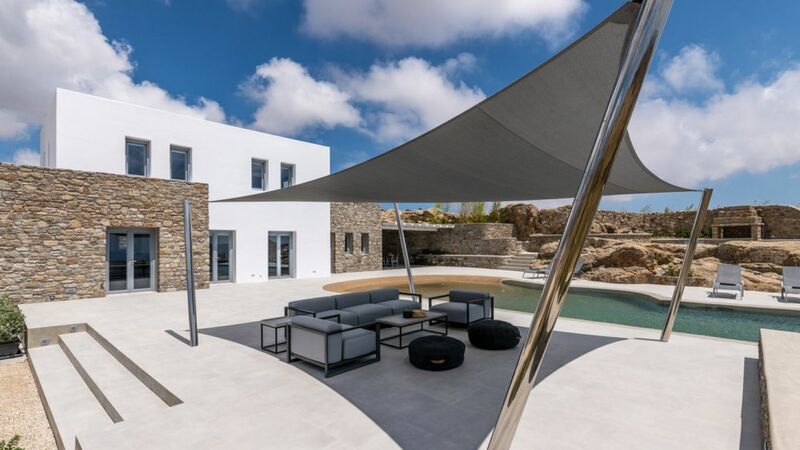 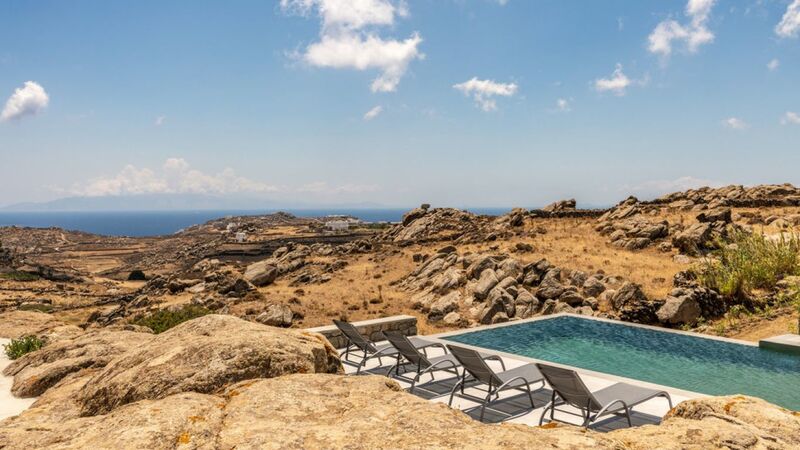 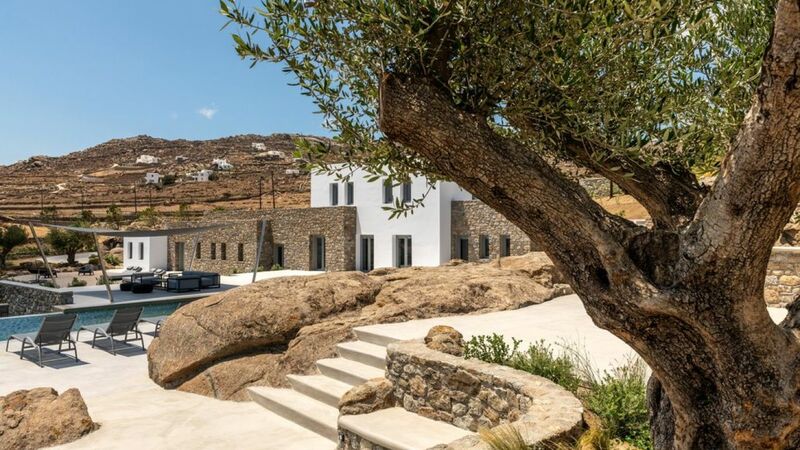 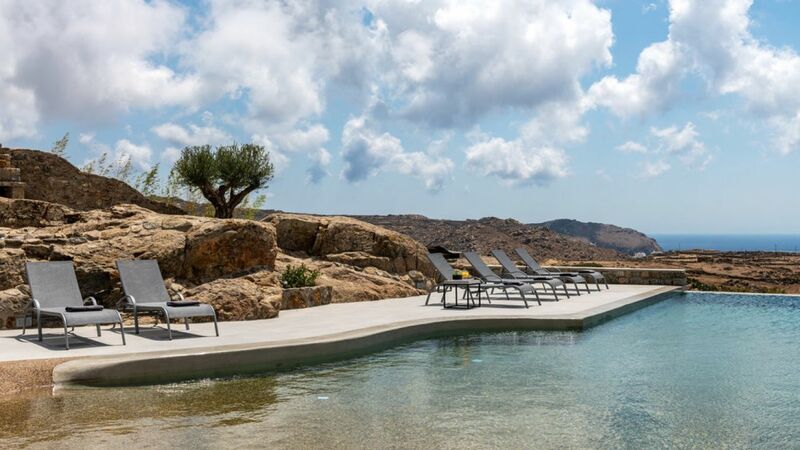 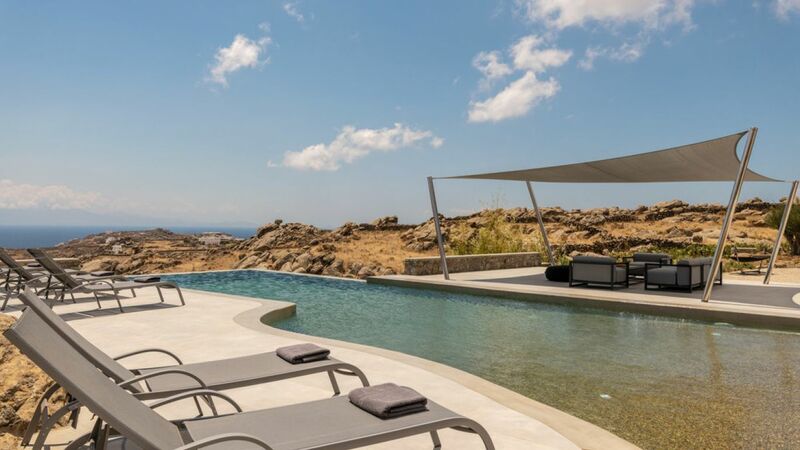 Villa Virginie is a lavish and exclusive villa built on a mountain hill and on private land of 5,400 sqm, just 2 miles from downtown Mykonos. 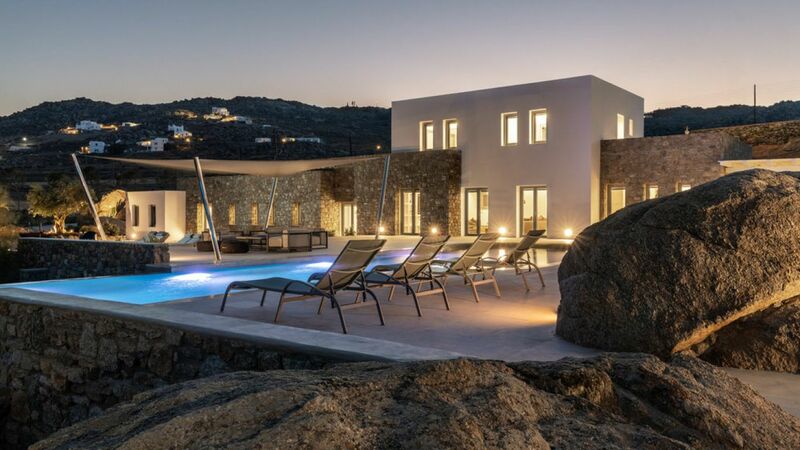 Boasting spectacular 180 degrees panoramic views of the southern beaches of Elia, Agrari and Super Paradise. 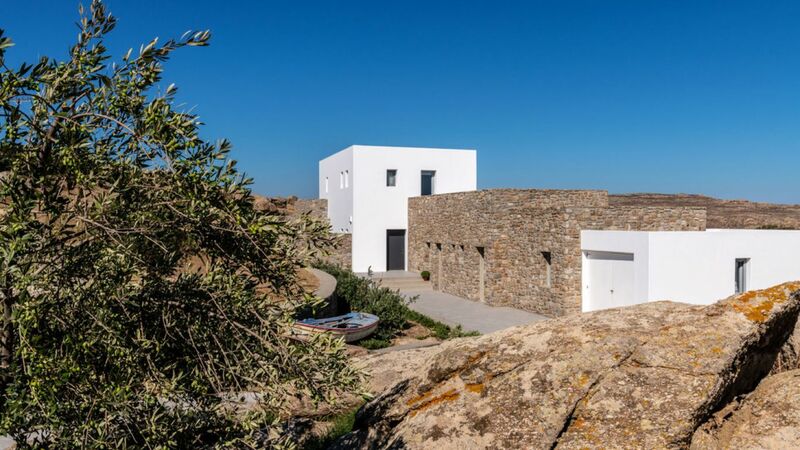 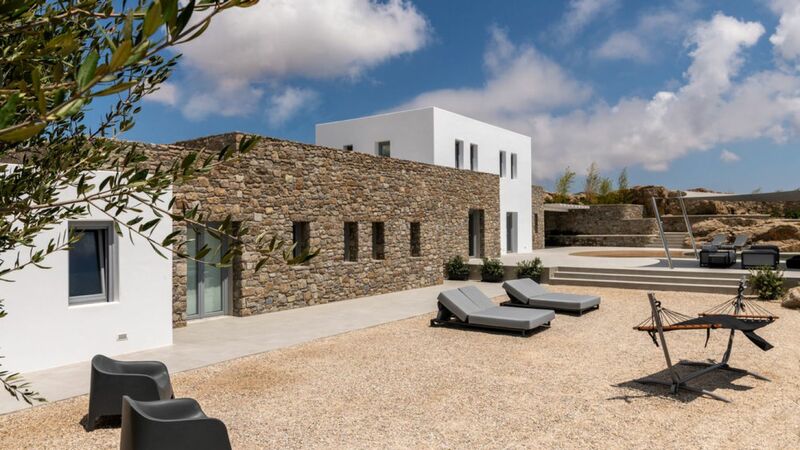 Its interior boasts a charming combination of modern minimal architecture with provincial beach house elements. 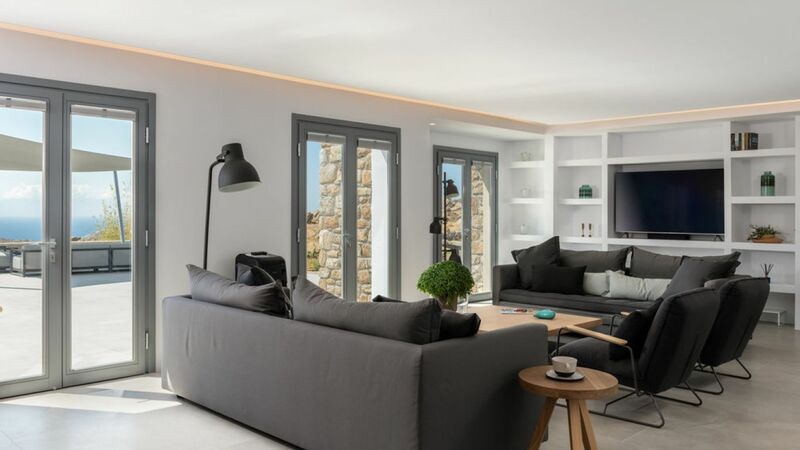 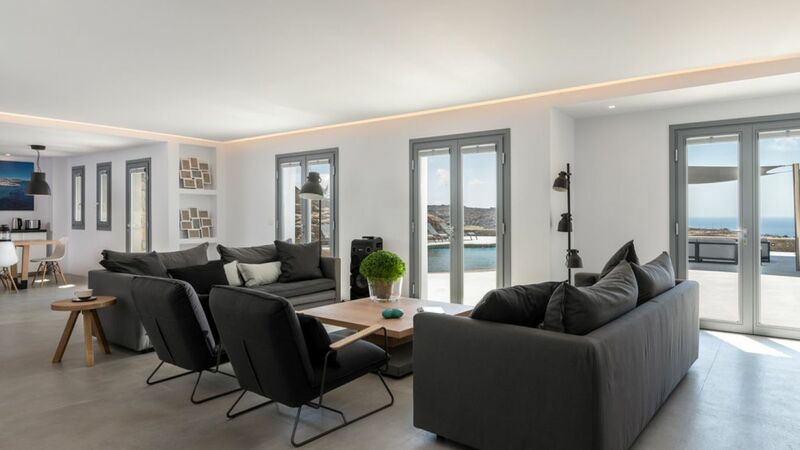 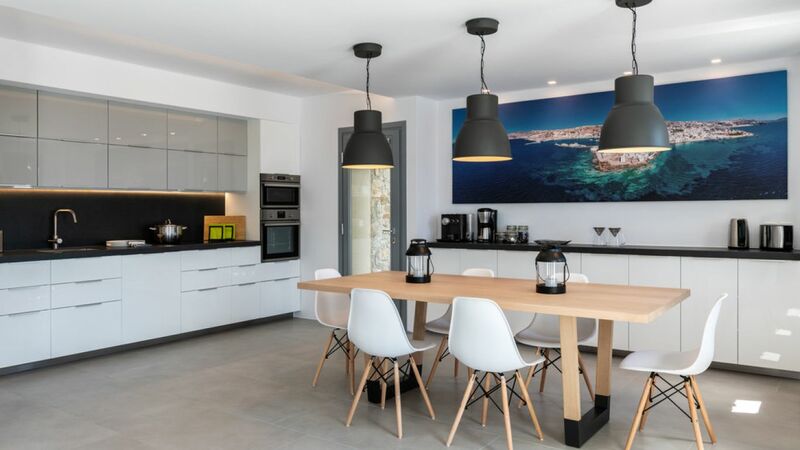 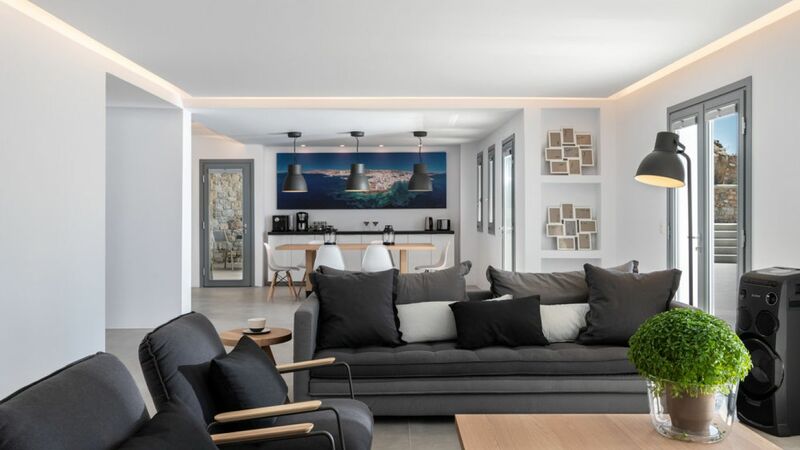 There is a fully equipped open-plan kitchen with modern appliances gives onto a living-sitting area, directly accessing the waterfront swimming pool and its wide terraces. 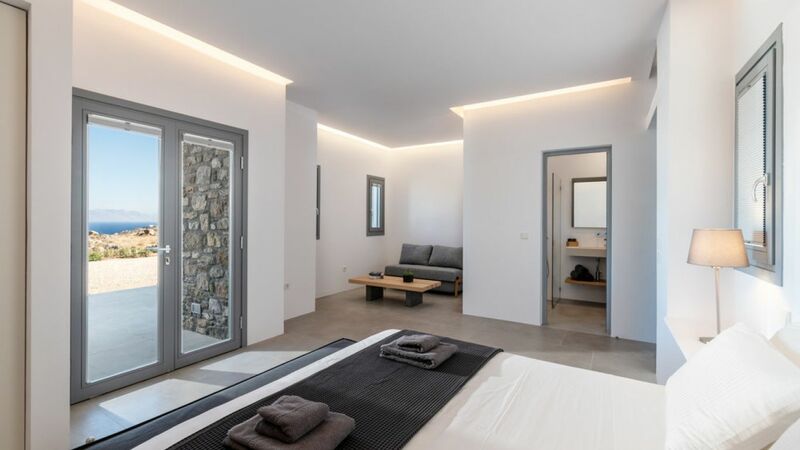 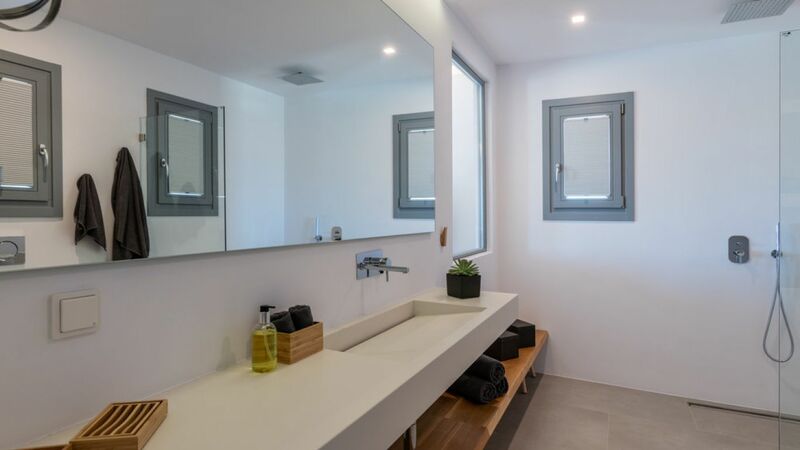 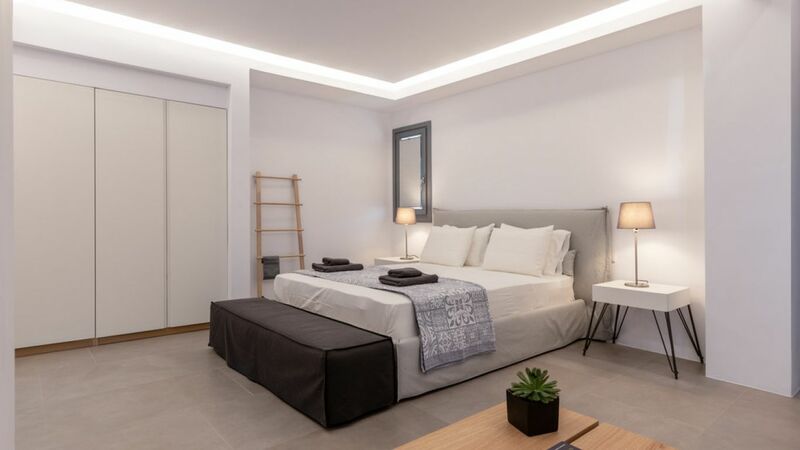 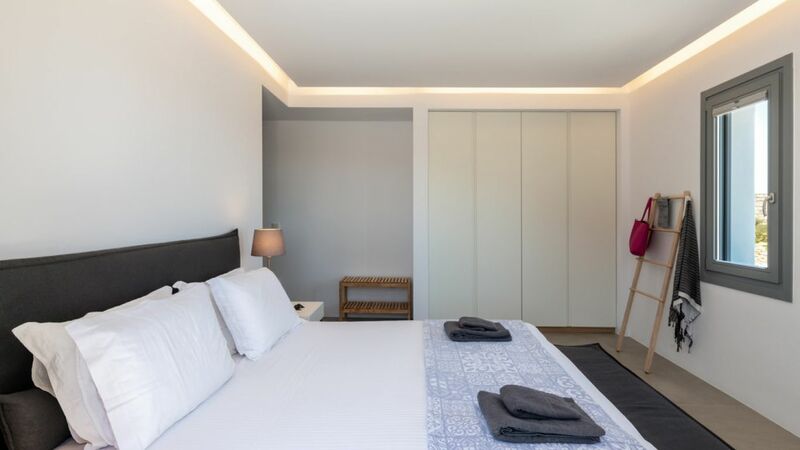 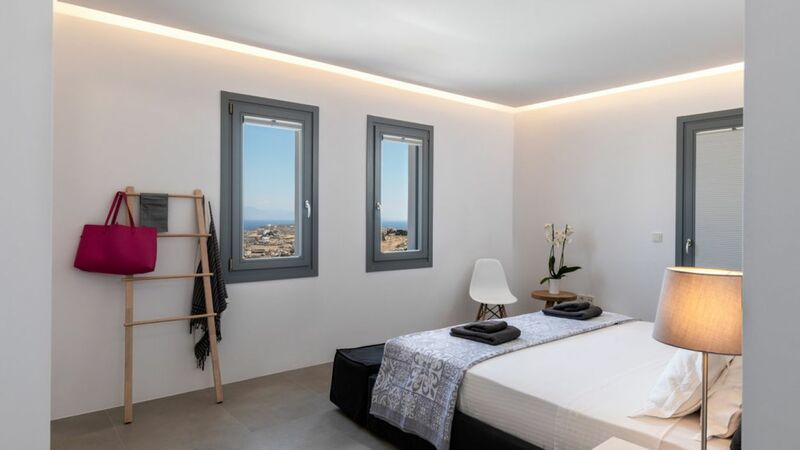 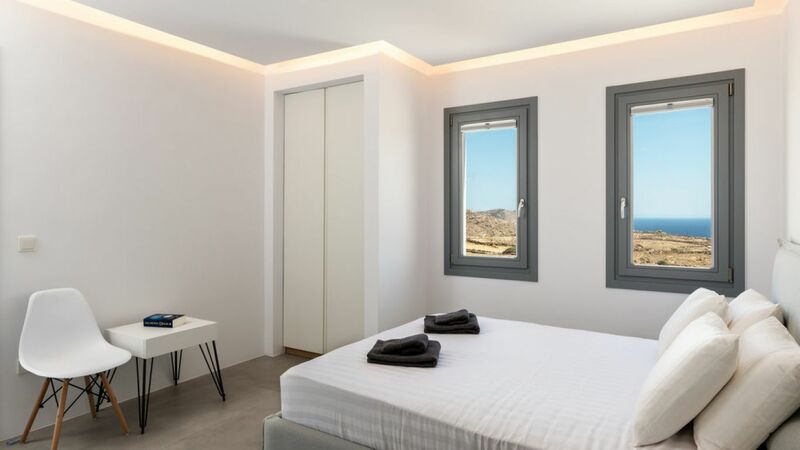 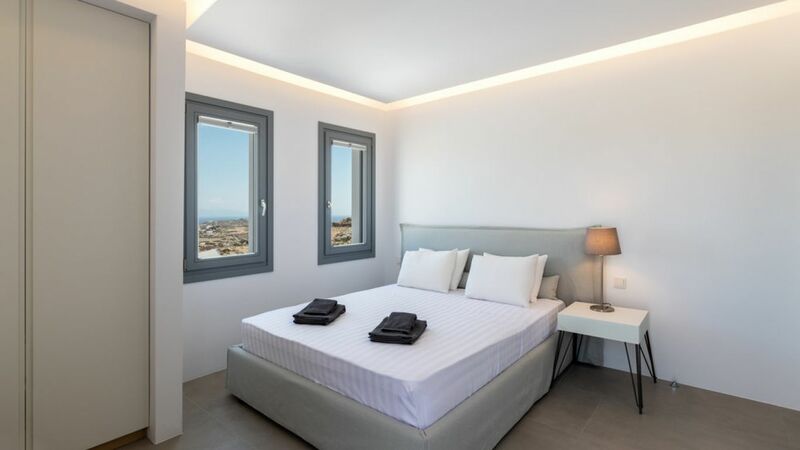 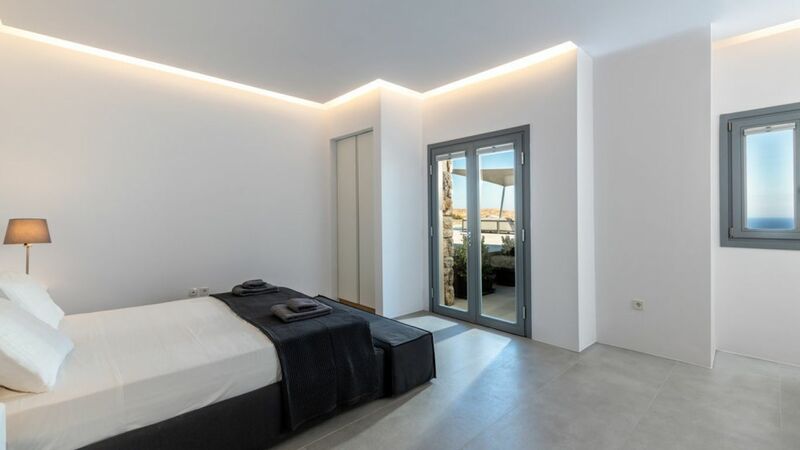 Split across two floors, this retreat offers ten bedrooms that are all exquisitely furnished, all en-suite and air-conditioned. 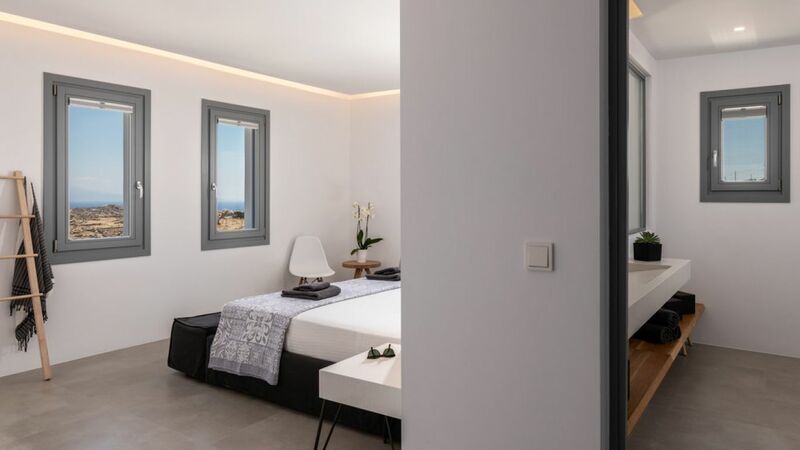 Each bedroom provides their own private verandas for those romantic nightcaps or breakfasts in your pajamas. 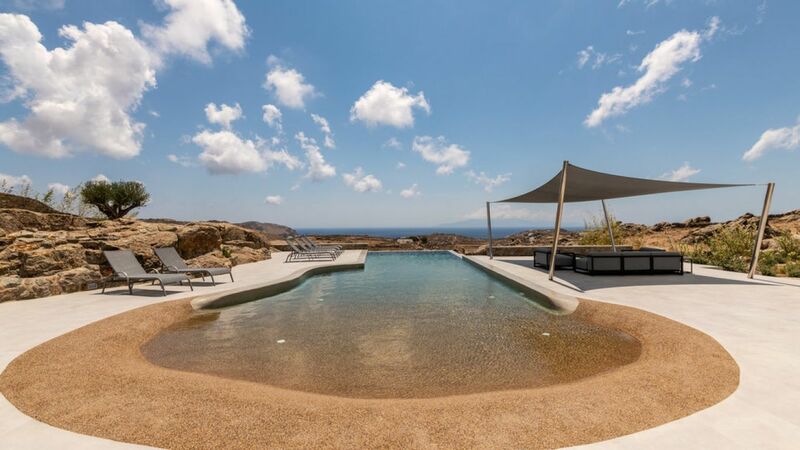 The outdoor area features a 90 sqm private lagoon-like infinity swimming pool, next to a large wooden shaded pergola. 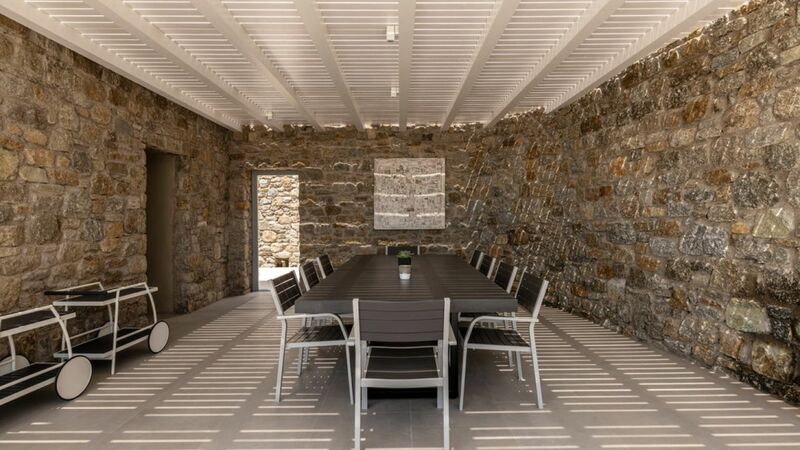 It also has an outdoor dining, wood fire BBQ and parking area for 20 cars.